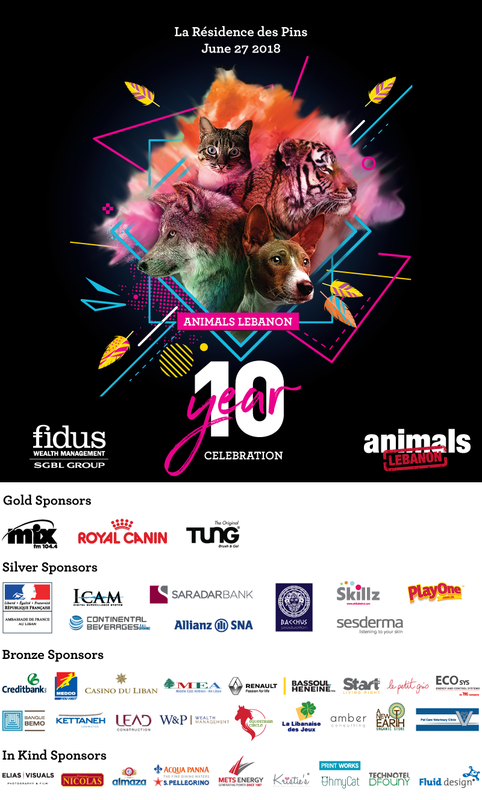 Join Animals Lebanon in celebrating our ten year anniversary and ten amazing years of a better Lebanon for animals! On June 27th, join the disco carnival fundraiser at the illustrious home of the French Ambassador, La Residence des Pins, to celebrate ten amazing years. Dance under the stars to the most in demand DJ, MIxFM's DJ Rodge. Wednesday, June 27th at La Residence des Pins - The Animals Lebanon 10 year anniversary disco carnival fundraiser! Ten years of hope. Passion. Struggle. Compassion. Love. Animals.